The internet is full of companies and websites promising to offer great jobs for you to apply for, but how do you know which ones are worth your time, and which ones are not? Look no further, we here at TransparentCareer have curated some great tools you can use to ease your job and internship searches. Hired works to connect employers with job seekers through an innovative platform that is tailored specifically to you and your interests. You create a profile on the site complete with your qualifications, skills, reviews, and career aspirations, and if companies are interested, they’ll reach out to you first to set up an interview request. Rather than wasting time by applying to dozens of companies only to face rejection, by putting the initial power in the company’s hands Hired takes the burden and the worry away from you. Finally, if you do get an offer from multiple companies, Hired allows you to compare your offers side by side so you can decide which opportunity is best for you. In fact, 75% of candidates accept job offers they receive through Hired! The best part? Hired is completely free, meaning that other candidates can’t pay for premium access to certain employers or jobs, thus levelling the playing field. If you’re looking for a job with a startup but have no idea where to start, look no further than Angellist. With currently 23,500 startups looking to hire on their platform, you can be sure that you’ll find your perfect startup match. Whether you’re looking for a small, budding startup or one of the giants like Tinder or Uber, Angellist has it all. With Angellist, you also don’t have to worry about creating a perfect application for each listing -just fill out your profile and then use it to apply to as many positions as your heart desires. The Muse is a job-finding platform that also helps set you up for success in applying to these jobs by providing additional coaching and online courses to ensure you’re putting your best foot forward. The Muse lets you explore companies and job openings based on industry, size, and location, but also curates different lists of “Muse Picks” or “Fast Growing” companies so you can gain a greater sense of the company before you apply. There’s also great coaching packages for almost every aspect of the career process, with topics ranging from things such as resume and cover letter reviews to networking and leadership coaching. Coaching can unfortunately be a little steep, especially for college students living on a budget, with the average package starting around $99, but the coaches are all highly vetted and have individual reviews and ratings so you can be sure you’re getting the best advice. Tired of combing through dozens of job sites every day, not sure if any of them even have listings that fit with your desired fields or titles? Jobs to Mail takes the hassle out of the job search by acting as your “personal job-search assistant.” How it works is that the API combs through job openings from 10 different career websites and filters them based on a particular search term of your choosing, which can be anything from the industry you want to work in, or a specific keyword from the actual job posting. Each day you’ll receive an email straight to your inbox with a curated list of new job openings. The only downside of Jobs to Mail is that as of right now they’re only compiling full-time jobs, meaning if you’re looking for a school year or summer time internship this may not be the best resource for you. Okay, this may seem like a cop out considering this isn’t an external company or tool, but trust us when we say that your school career center is definitely still one of your best bets when trying to navigate the career searching process. Career counselors typically have tons of experience either by previously working on the recruiting side, or simply from helping fellow undergraduate students like yourself throughout the years. 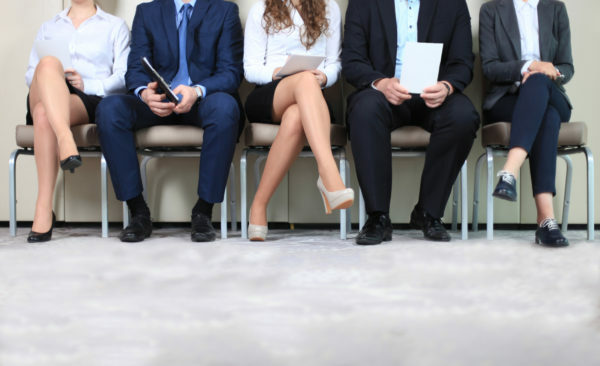 Career offices typically offer resume and cover letter reviews, mock interviews, sometimes both behavioral and case, and can even just help by talking you through what industry or function might best suit your skills and preferences. Besides, the resources that the career office provides are already included in your yearly tuition, so you might as well take advantage of it! Found the perfect job but not sure if your application is ready? Check out our articles on perfecting your resume and cover letters. Still have any questions or comments? We love hearing from you! Reach out.